Shri Mangueshi Temple is dedicated to Lord Shiva. 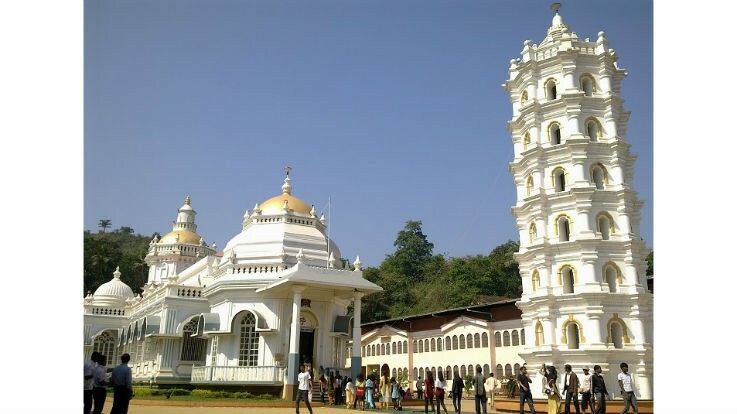 It is considered to be the most important temple in Goa which belongs to the typical Goan-Hindu style of architecture. The temple is distinctive with its white towers. Located on a Hillock at Proil in Ponda Taluka, the temple is surrounded by lush greenery. It is 22 km from Panjim and 26 km from Margao. 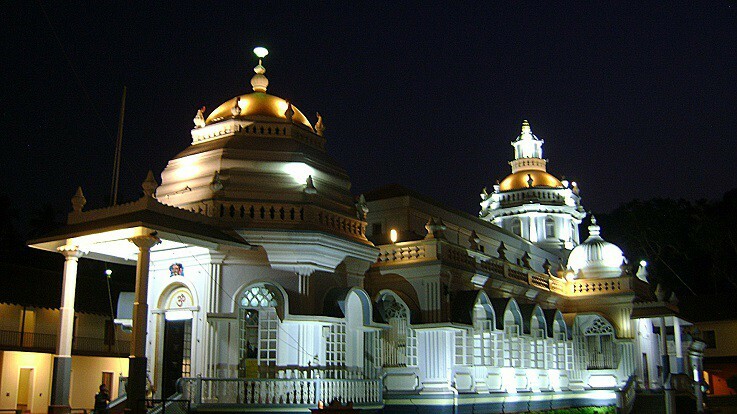 It is one of the largest, wealthiest and most visited temples in Goa. Lord Manguesh (an incarnation of Lord Shiva) is worshipped in Shri Mangeshi Mandir. The temple is 400 years old with an exquisite structure and attractive pillars. A beautiful ‘Deep Stambha’ (seven-storied decorative lamp tower) is installed at the entrance of the temple complex. The temple’s origins come from Kushasthali which is now known as Cortalim, a village in Salcette. During that time Salcete fell into the hands of the Portuguese rule in 1543. In the year 1560, the Portuguese started Christian conversions in Salcete taluka. Hence, Saraswats of Vatsa Gotra felt insecure and shifted the Mangesh Linga from Kushasthali on the banks of river Aghanashini to Mangeshim in Priol village of Atrunja Taluka on May 1st, 1560 A.D. The temple was constructed under Maratha rule. A prominent Nandi Bull which is considered to be the Vahana (Vehicle) of Lord Shiva is installed in front of the temple. The temple complex has a spacious courtyard, a water tank, which is believed to be the oldest part of the temple. The Sabha Griha accommodates over 500 devotees.  There are portraits of Lord Shiva in different postures. 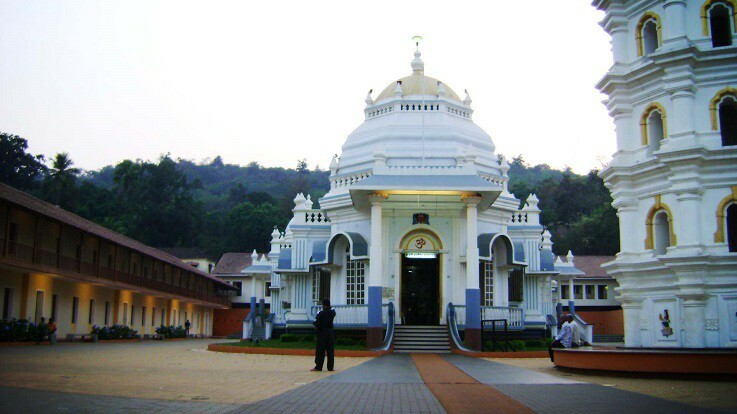 The devotees assemble here twice a day to meditate and seek peace, solace, and the blessings. The idol of Lord Mangesh resides in the Sanctum. It also has shrines of Parvati and Ganesh. It is believed that Mangesh Linga has been consecrated on the mountain of Mangireesh on the banks of river Bhagirathi by Lord Brahma. Saraswat Brahmins carried the linga to Gomantaka and settled at Mathagrama, the present day Madgaon, establishing the most sacred and ancient temple of Mangesh on the banks of the river Gomati or Zuari. Lord Mangesh is worshipped in the shape of a Shiva Linga. Legend has it that once Lord Shiva and Parvati were playing dice at Mount Kailas. Shiva lost the game, and in the last roll of the dice staked his heaven. Hence, he left the Himalayas. He wandered southwards and crossed the Sahyadri mountains, came to Kushasthali or Cortalim, where Lopesh, his devotee, entreated him to remain. Goddess Parvati was heartbroken without Shiva. She too left heaven in search of him. Suddenly, she saw a tiger. Shiva had taught her an incantation, “He Girisha mam-trahi” but she was so frightened that she uttered the jumbled incantation, “Trahi mam Girisha.” Lord Shiva, who had assumed the form of a tiger, instantly returned to his original form. Shiva added Mam-Girisha to the many appellations. The village where the temple is located came to be known as Mangeshi, an abbreviation of Mam-Girisha. The Annual festivals such as Ramanavami, Akshaya Tritiya, Anant Vritotsava, Dussera, and Diwali are celebrated with great joy. The main annual festival of Temple falls on the day of “Magh Purnima” in February which begins on Magha Shukla Saptami. The three day Jatra of Shri Mangesh is held in the lavish temple located at Ponda district which draws a huge crowd of devotees. Navaratri and Shivaratri are observed grandly with Makharotsava. The festivals of Holi or Shigmo are celebrated with great joy. Mangueshi Temple has a large number of pujas being performed daily. Every morning, Shodshopchar puja, namely Abhisheka, Laghurudra, and Maharudra are performed which is followed by Maha-Aarti and Panchopchar puja. By Air: The nearest airport is Dabolim which has frequent flights from Mumbai, Chennai, Delhi, Bangalore, and Kochi. By Train: The two railway stations- Vasco da Gama and Margao have several trains arriving at Goa from the rest of the country. By Road: There are frequent bus connections to Old Goa from Panaji and other places in Goa.